We have it on good authority that one of the symptoms of Spring Fever is a desire to goof off and make paper airplanes. Succumb to the fever by grabbing a copy of How to Build a Hovercraft: Air Cannons, Magnet Motors, and 25 Other Amazing DIY Science Projects by Stephen Voltz and Fritz Grobe (Chronicle Books, 2013). 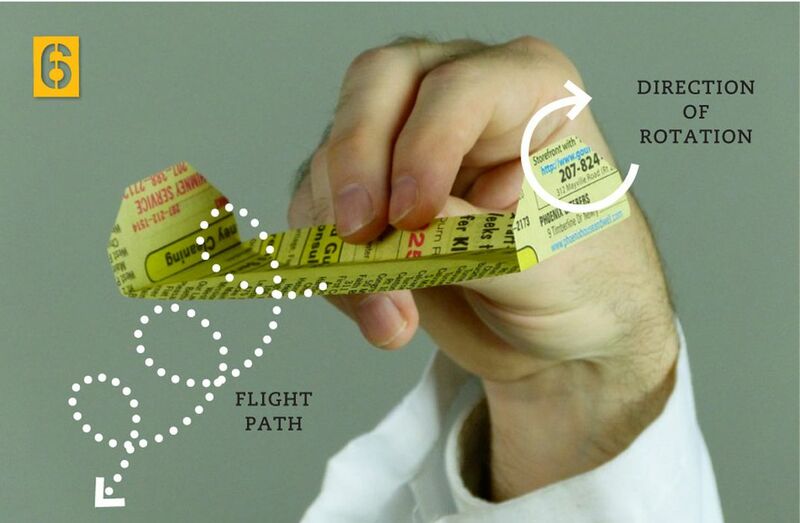 This paper airplane—the Tumblewing—is a type a walkalong glider. The authors note that it’s designed to fall steadily forward and down, in a spiral. If you walk too fast, the Tumblewing will fly over your shoulder; if you walk too slowly, it will fall to the ground. So flying it takes a bit of practice. Would Orville and Wilbur have headed back to the bicycle shack if their first attempt failed?!? No! VERDICT: It took us a couple of practice sessions to get the hang of the Tumblewing. Our first attempt fizzled because we used the wrong size cardboard. (Also, our boss told us to get back to work.) With the correct size cardboard, it was much easier to keep the Tumblewing aloft, and keeping it in sustained flight was just a matter of practicing. You'll need to print the template. 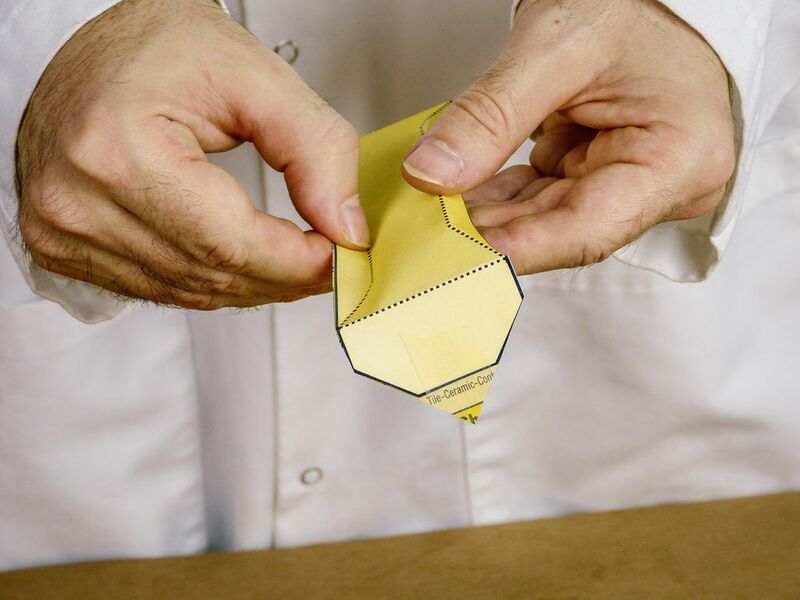 STEP ONE: Print the template. 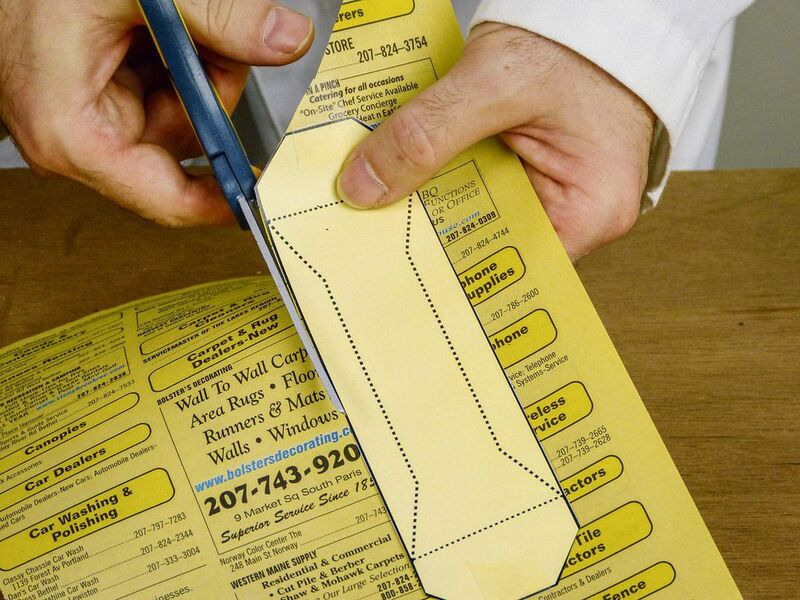 STEP TWO: Remove a nonessential page from a phone book and lay the pattern on top of it. Phone book paper is just the right weight for this experiment—tissue paper is too flimsy and regular paper is too heavy. 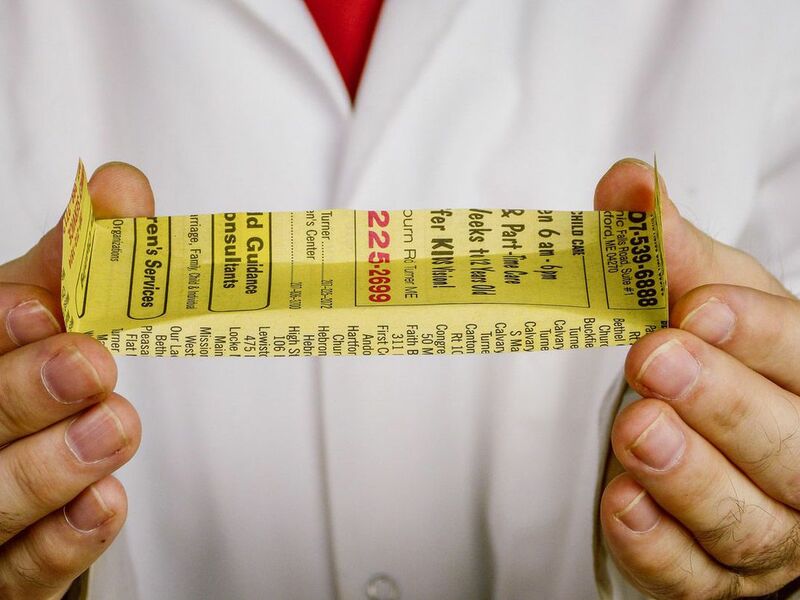 Using 2 small pieces of Scotch tape, tape the ends of the pattern to the phone book paper. 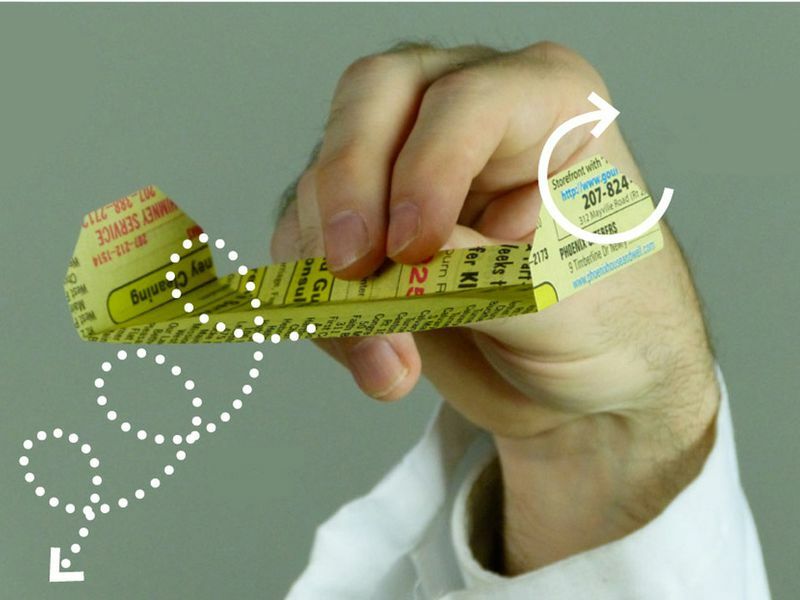 Using scissors, cut around the pattern to get a rectangle of phone book paper with the corners cut off, but leave two little points where the tape attaches the pattern to the paper. 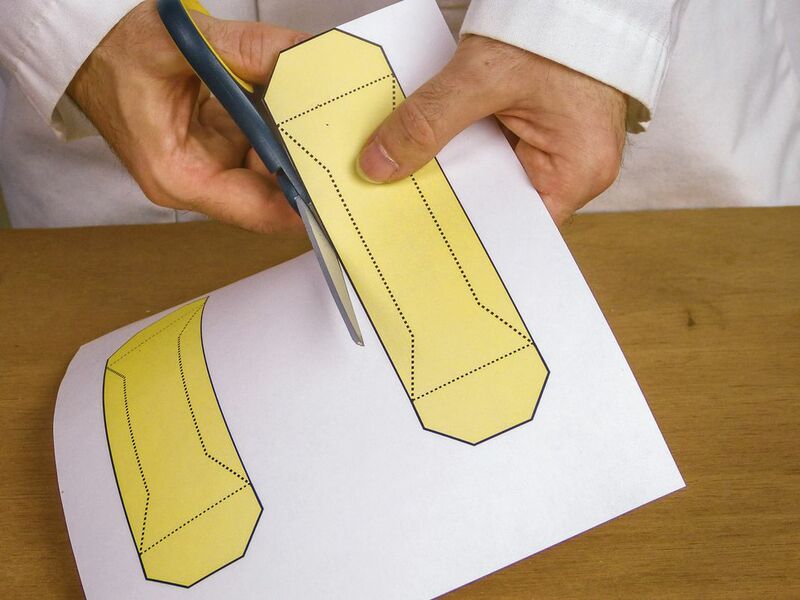 You’ll cut off those points shortly, but for now, you want to keep the pattern and the phone book paper sandwiched together so you can fold them both together along the lines shown on the pattern. STEP THREE: Fold both ends up 90 degrees, about 1 1/2" in from the end (where the dotted lines are on the pattern). STEP FOUR: Fold the one edge (what will be the leading edge) down at a 45-degree angle (where the dotted line is along the top of the pattern). Fold the other edge (what will be the trailing edge) up at a 45-degree angle (where the dotted line is along the bottom of the pattern). STEP FIVE: Now that the glider is folded, you can cut off the two points where the tape holds the pattern to the phone book paper. Separate the pattern from the phone book paper. You’re done with the pattern, and your glider is now complete. STEP SIX: Hold the center of the Tumblewing’s trailing edge (the long, rear angled-up flap) between your thumb and second finger. 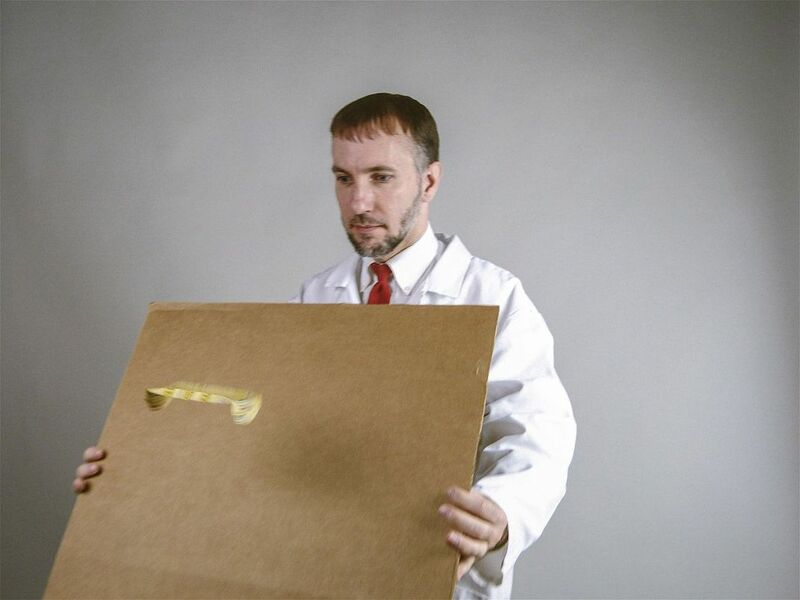 STEP SIX, CONTINUED: With your other hand, hold the large piece of cardboard vertically in front of you at a slight backward tilt of 20 to 30 degrees. 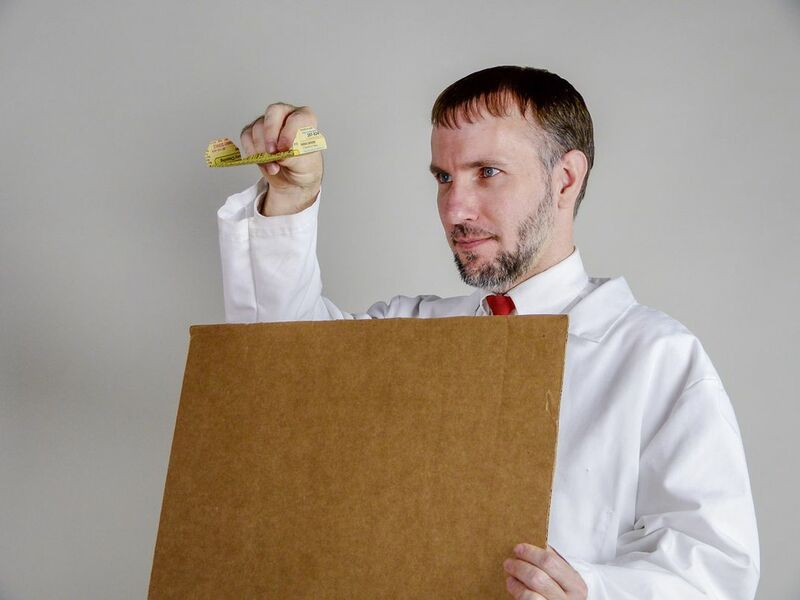 The top edge of the cardboard should be at about the height of your shoulders. STEP SEVEN: Hold the Tumblewing 10" to 12" above and 8" to 10" ahead of the top edge of the 2' x 2' cardboard. Release the Tumblewing with a slight forward and downward push. 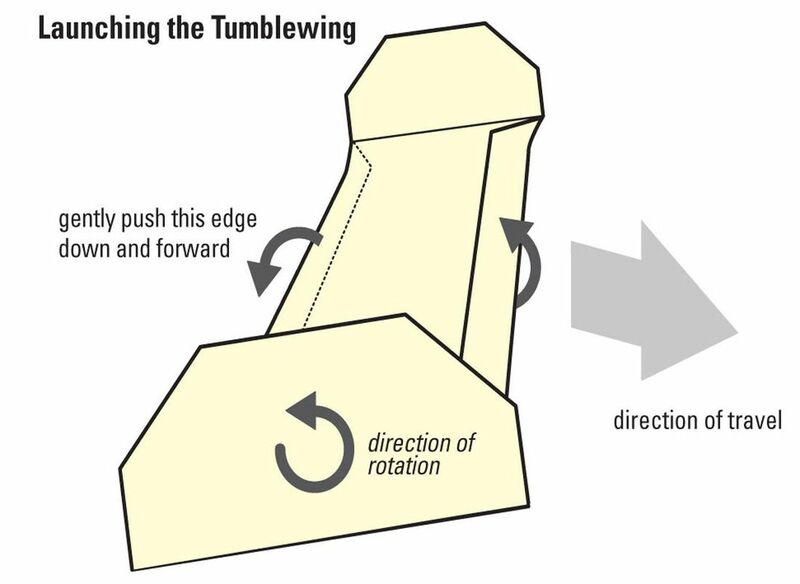 You want to push the trailing edge that you’re holding down and forward so that the Tumblewing itself begins to spin backward, while it drops down and forward. STEP EIGHT: As soon as you release the glider, begin to walk forward slowly while holding the 2' x 2' cardboard in front of you. This will create an updraft under the Tumblewing that will keep it aloft for as long as you keep walking forward. If you turn left or right, the plane will, too. By walking in a large circle or figure 8, you can keep the plane flying in a relatively small space for a while. NOTE: It can take practice to get the hang of it. One common mistake is to give in to the temptation to tilt the cardboard at more of an angle to try to “lift” the glider from below. Don’t do it. The cardboard needs to be close to vertical to get the necessary slope lift. If your glider is dropping too fast, walk faster, don’t tilt the cardboard back. Also, if you find your Tumblewing turning on its own to one side or the other, check to make sure the ends are as straight and vertical as possible. If they angle in or out, they will make the plane veer to one side. Text and images reproduced with the permission of Chronicle Books.